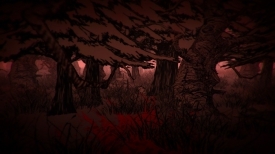 "A horror game where you get to be the monster"
Damned is a horror game with a difference where you play as the monster roaming in the woods, you use a kind of infra-red vision to find targets within the woods marked by a red dot you then must chase and eat your targets all of this while a creepy voice over speaks about evil. I’m not going to lie I actually found this game kind of hard to play starting off with killing animals didn’t feel good at all and then as you move on to humans it didn’t get any better also all the humans look exactly the same and the game gets quite repetitive quickly although it’s worth bearing in mind that this was built for a game jam and would have been made in a very short time scale. The game was actually made back in 2015 and it’s good to see developer Nick Zangus has moved in to much lighter and better (in my opinion) territory as he was the developer of one of our favorites here in Bot Race. 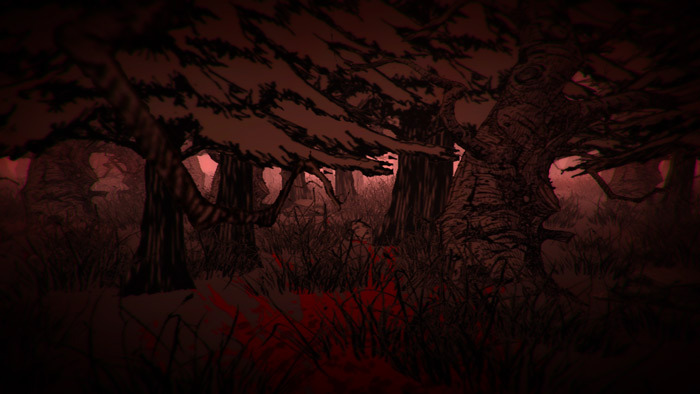 If you have ever been curious to play a game from the monsters perspective rather than the victim then you should give damned a try but do bear in mind it’s a very dark game and certainly will not appeal to everyone. Although it was made in such a short time scale the graphics are nicely done but as mentioned it can get kind of repetitive quickly. You can download Damned here for free.